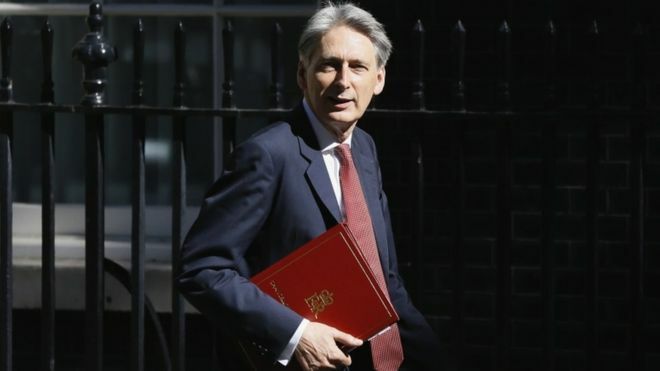 The Chancellor Philip Hammond has just delivered his Autumn Statement 2016 promising a “step-change” in the Government’s commitment to delivering new homes. Hammond highlighted a previous announcement in October, when the Communities Secretary Sajid Javid launched a £3 billion Home Builders’ Fund, to unlock over 200,000 homes and up to £2bn to accelerate construction on public sector land. This was welcome, although £2bn of this cash had already been pledged under pre-existing schemes. A new white paper on housing addressing the long-term challenge of delivering housing in the places where it is least affordable and most needed. HomeOwners Alliance supports this aim, however, there have already been a wide array of both private and publicly-funded reports into the housing crisis. What is really needed is direct action to speed up the delivery of new homes. A £2.3 billion Housing Infrastructure Fund to deliver infrastructure for up to 100,000 new homes in areas of high demand. This is good news. There is no question that in order to support the delivery of new homes infrastructure is needed. However, while it might sound headline-worthy to say this will support “100,000 new homes” an initial reading of the speech suggests the Chancellor means this will provide the background infrastructure for this number of homes rather than creating an extra 100,000 homes on top of any previous housebuilding pledges. A further £1.4 billion to deliver 40,000 additional affordable homes. A relaxation of restrictions on government grants to allow a wider range of housing-types. Any increase in the number of affordable homes is a positive. However, this remains a drop in the ocean compared to demand. The statement lacked a firm commitment to deliver the 250,000 to 300,000 extra homes per year that experts believe are necessary to meet Britain’s housing demand. Continued support for the Help to Buy: Equity Loan scheme and the Help to Buy ISA. We believe Help to Buy has been a useful scheme for aspiring home owners. It is a shame that the Mortgage Guarantee element is due to end shortly, as uncertainty surrounding Brexit may lead to a tightening in the availability of credit for borrowers with small deposits . London will receive £3.15 billion as its share of national affordable housing funding to deliver over 90,000 homes. Again this sounds like new money, but HomeOwners Alliance believes this is in fact just a clarification of how much London will receive out of an already-announced budget. A ban on letting agents’ fees to tenants, to improve competition in the private rental market and give renters greater clarity and control over what they will pay. The HomeOwners Alliance welcomes this as it means landlords will shop around for the best letting agent which can only benefit the tenant, and help them to save. Over the course of this Parliament, the Government expects to more than double, in real terms, annual capital spending on housing. Paula Higgins, founder and chief executive of HomeOwners Alliance says: “While initially we were happy to see housing at the heart of the Autumn Statement, our initial assessment is that – sadly – the pulse is weak; not all the pledges during the speech amounted to new cash injections. The number of new homes being promised is a drop in the ocean compared to the 300,000 homes per year that experts commonly quote as being necessary to solve the housing crisis, and address many successive years of under supply. Alongside commitments to building more, we would have liked to see more help for home-buyers in the form of a new stamp duty exemption for first-time buyers or review stamp duty to help last time buyers looking to downsize.